What Is The Actual Evidence For Using Hypnosis For Stopping Smoking? The vast majority of people that I encounter with a moderate amount of knowledge about hypnotherapy, tend to think that hypnotherapy is first and foremost a great way to stop smoking. They think of it as the best application of hypnosis. It seems to be best known as a stop smoking remedy to many people. My exploration of the evidence available combined with my own clinical experience leads me (and many of my colleagues) to believe that hypnotherapy is brilliant for dealing with pain, overcoming anxiety, enhancing sleep and many other applications but stopping smoking is a more advanced and tougher challenge altogether. In my clinical practice of working with many clients each year for the past 12 years, I have found stopping smoking to be far more challenging to work with than the above mentioned issues that many people might consider more complex. I wondered if it was just me and my own techniques, but I have examined a wide array of processes and looked at a number of evidence based techniques and strategies to get my own stopping smoking process as effective as I can make it. I believe my programme for stopping smoking using hypnosis is incredibly effective, I am very confident in it, yet I still find it more challenging to work with smokers than almost everything else. Despite this, others claim that their single-session stop smoking processes have massively high success rates and so maybe I am missing something here? This blog is not about what methods to use and how to use them; it is about the evidence available that supports the use of hypnosis for stopping smoking. There are a number of hypnotherapists making impressive claims out there regarding hypnotherapy and stopping smoking with an equal number of hypnotherapists quoting research for the efficacy of hypnosis for stopping smoking and so I thought I’d examine the evidence for many of those claims. Back in 1971, Johnston and Donoghue offered up one of the earliest large scale reviews of hypnosis literature in relation to stopping smoking. Within that, they cited some research claims that were claiming success rates using hypnosis that were as high as 94% !! Impressive stuff, eh? First up, I think the world is a very different place in relation to smoking since then, not that this is my biggest issue… My biggest issue with using this research to promote hypnotherapy is that when you examine this study, there no experimental evidence reported to support the claims made with this study! If any diligent member of the public were to examine this, they’d find the same and it is this kind of tiresome presentation of unreliable research used for the sole purposes of marketing that I think we could do without in this field. Later on in 1974, Hunt and Bespalec put together a study comparing half a dozen methods of stopping smoking. They investigated aversive conditioning; drug therapy; education and group support; hypnosis; behaviour modification; and miscellaneous, including self-control, role- playing, and combination treatments. It was their conclusion that hypnosis “perhaps gives us our best results” (p. 435), which is marvellous news for us in the hypnotherapy field. Though they did record success rates that varied between 15% and 88%. Then slightly more recently in 1980 a review by Holroyd of 17 mostly clinical reports concluded that more sessions of hypnotherapy were reported as being better than fewer sessions. Why have none of the marketers of the ‘stop in one single session’ treatments not been referring to this study? Plus it is 12 years more recent than the Von Dedenroth unsubstantiated study. The Holroyd study also suggested that individual tailoring of a stop smoking treatment for a client was better than treating every client the same and that additional support including phone contact and supportive counselling also increased the likelihood of success. With these things in place, over 50% of those treated had still not smoked when followed up after 6 months, according to this study. At a similar time as Holroyds review though, were actual studies involving proper control groups and more rigorous testing inclduing those conducted by Barkley, Hastings, & Jackson, 1977; MacHovec & Man, 1978; Pedersen, Scrimgeour, Lefcoe, 1975 which only tended to demonstrate success rates of 0% to 50%, which was slightly lower the Holroyd had offered up. However, however, however, all is not lost, oh no… Racing to our rescue in the early 1990s, as featured in the New Scientist and referred to by many of us in the field, was published a study by Viswesvaran and Schmidt (1992) who had conducted a metaanalysis on 633 studies of smoking cessation which included a whopping 48 studies in the hypnosis category which they investigated. This also had a total number of 6,020 participants. Which is impressive. Hypnosis did prove to be better and more effective than just about every other treatment it was compared to including nicotine replacement therapy and aversion techniques, yet still only really offering up a success rate far inferior to that of the Von Dedenroth 1968 study. I can understand why people may want to use the Von Dedenroth study to make impressive claims, but when you make a 94% success rate claim, is that ethical, factual, reliable? And what if your client is one of the 6%? What does that do to them? I’d like to think they could be helped following that, but if they thought they were a 6% minority, how might that effect them? Though in 1995 Law and Tang did analyse 188 randomised controlled trials of smoking cessation with unimpressive and disputable success rates, the most impressive and seemingly thorough review in existence today appears to that from the year 2000 conducted by Green and Lynn. In it, they examined 59 stop smoking studies and drew the conclusion that when measured against Chambless and Hollon’s (1998) criteria of evaluation for the empirical support of diverse psychotherapies, hypnosis was a “possibly efficacious” treatment. Woo-hoo! No-one was going out on a limb there, eh? Everyone’s backside got covered with that study! They added that hypnotic interventions appeared to be more effective than no treatment or waiting-list control conditions. The Green and Lynn study stated that the evidence supporting the notion that hypnosis is more effective than a placebo is mixed. So can we really hold our heads up high using our 94% success rate study from the 1960s? 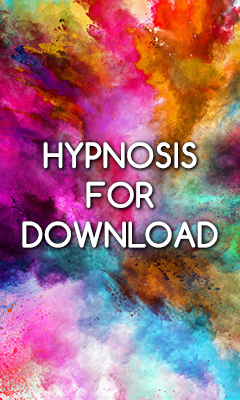 Hypnosis is indeed a better choice than many stop smoking techniques or choices and it is fairly brief, even if the evidence suggests that more sessions are better than a one single one. As a hypnotherapist and a pretty heavy-duty marketer, I understand that we want to show our beloved field of hypnotherapy in the best possible light to attract people to hypnosis and hypnotherapy, but perhaps there is a line to be drawn every now and then, no? Do go and check out the evidence for yourself…. Green, J. P., Lynn, S. J. (2000). Hypnosis and suggestion-based approaches to smoking cessation: An examination of the evidence. International Journal of Clinical and Experimental Hypnosis, 48, 195-224. Holroyd, J. D. (1980). Hypnosis treatment for smoking: An evaluation review. International Journal of Clinical and Experimental Hypnosis, 4, 241-357. Hunt, W., & Bespalec, D. (1974). An evaluation of current methods of modifying smoking behaviors. Journal of Clinical Psychology, 30, 431-438. Johnston, E., & Donoghue, J. (1971). Hypnosis and smoking: A review of the literature. American Journal of Clinical hypnosis, 13, 265-272. Viswesvaran, C., & Schmidt, F. (1992) A meta-analytic comparison of the effectiveness of smoking cessation methods. Journal of Applied Psychology, 77, 554-561. Von Dedenroth, T. (1964). The use of hypnosis with “tobaccomanics.” American Journal of Clinical Hypnosis, 6, 326. If you’d like to train to be a hypnotherapist, or if you are a seasoned hypnotherapist looking for stimulating and rewarding advanced hypnotherapy training and CPD classes, then visit the website of my Anglo European College of Therapeutic Hypnosis where you can download prospectus forms and read lots of information about the scope, depth and breadth of our education offered to all of our students and all that we offer. When I did my smoking cessation training, I noted that the 2 most effective ways to give up smoking are to have a heart attack! For 1 group the “success rate” was 100% – but there some undesired side effects! Hahaha, Ron thank you for making me laugh out loud this afternoon! I just read your article, and it put a weight off my shoulder. I have been looking for clear information on the topic, and found myself banging my head on the wall about this Von Dedenroth study. I was looking for the actual protocol he used in his study, and didn’t find it, even though I find people believing they had it, but it was fake. All I found was Valerie Austin’s book, about her own over-marketed method. The content of the book was disappointing, only direct suggestions with no taste. Is that’s what she sells in her training ? Anyway, thank you for this article, it will surely influence my way of leading my sessions from now on. Get in touch if I can ever be of any further assistance, best wishes, Adam.